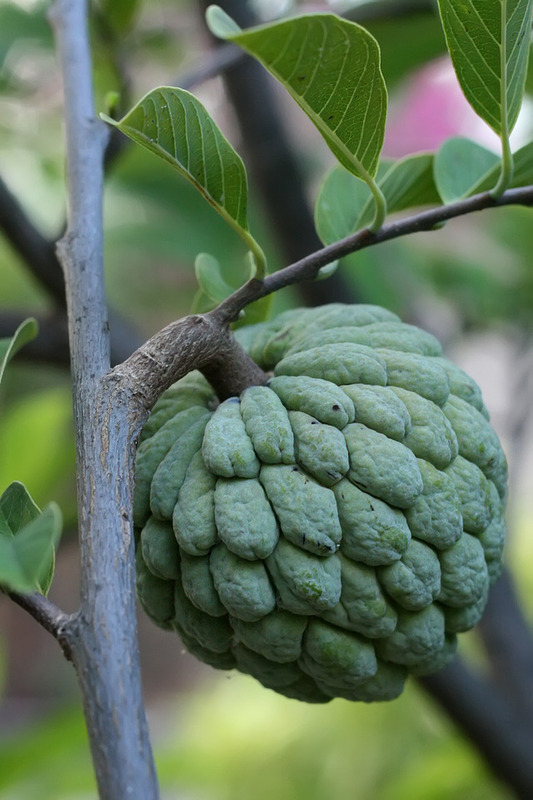 An edible round, ovoid, or cone shaped fruit around 6-10 cm in diameter, with a lumpy skin. 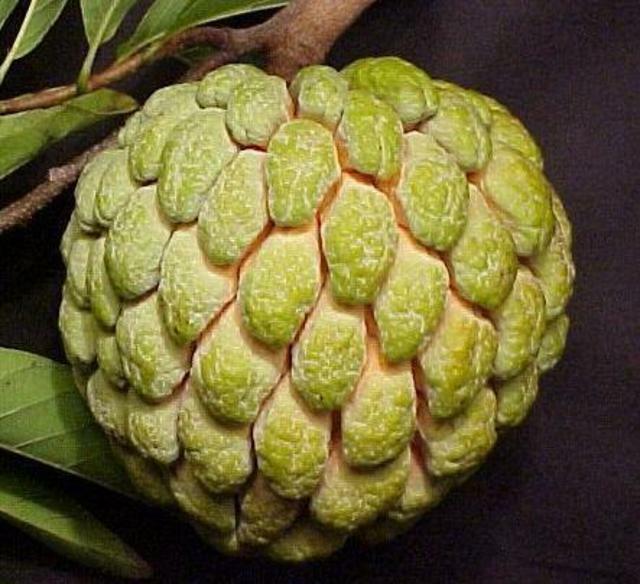 The skin colour changes from bright green to a pale whitish-green as the fruit ripens. 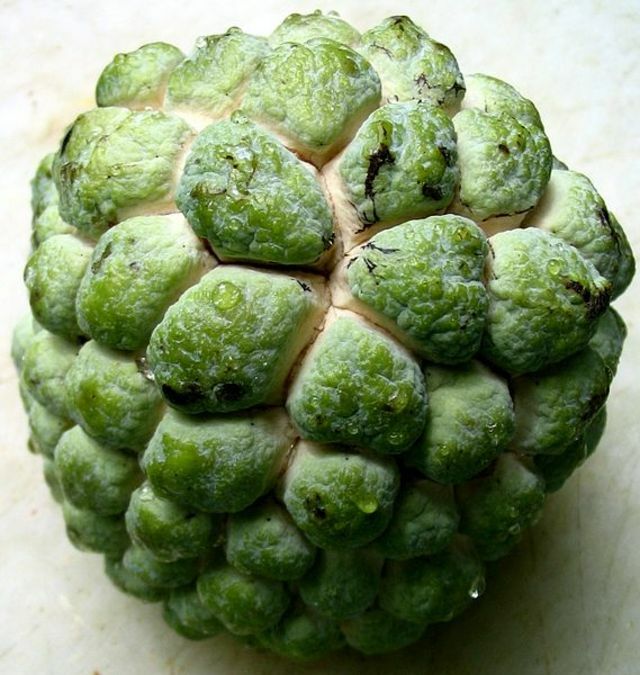 The sweet flesh is white or very pale yellow, and has a custard-like texture. 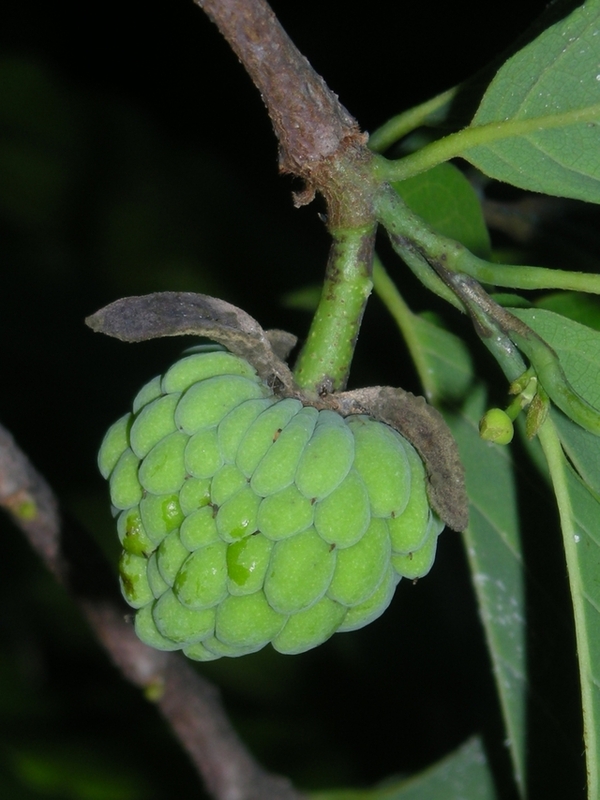 Hard , shiny brownish black seeds are spread throughout the insides. 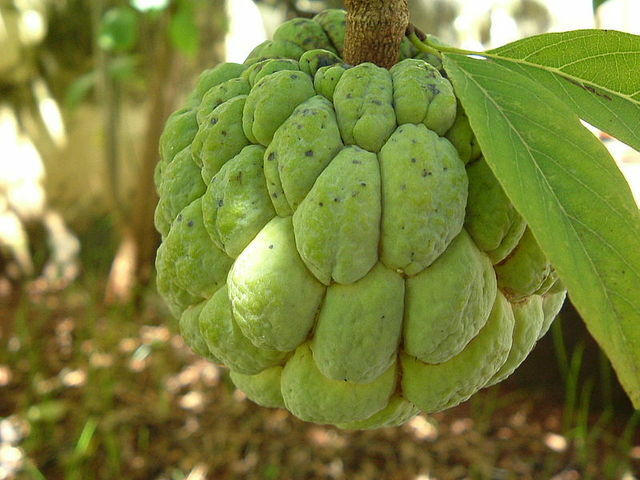 I know this to be a sugar apple and the reddish color one without the bumps is called custard apple.